In partnership with GoSkyDive, our Tandem Skydive is not for the faint-hearted! The excitement builds as the plane takes you up to 10,000ft before an unbeatable adrenaline rush as you freefall for 30 seconds, followed by a magical 5-minute parachute ride across the Salisbury Plains where the awesome view include sites of prehistoric interest! All you need to take this plunge is to sign up and pay a £50 deposit to secure your place. 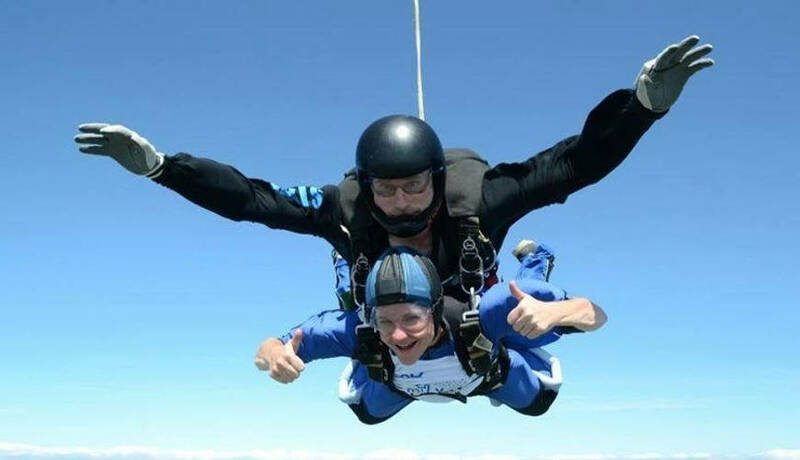 The Emily Ash Trust covers the cost of the Tandem Skydive from 10,000ft. In return, we ask for you to fundraise the minimum sum of £395 before the date of your jump. You can either join our group booking of the above date or you can choose a date to suit yourself. The easiest way to fundraise is through just giving.